Don’t miss this awesome freebie at Target! 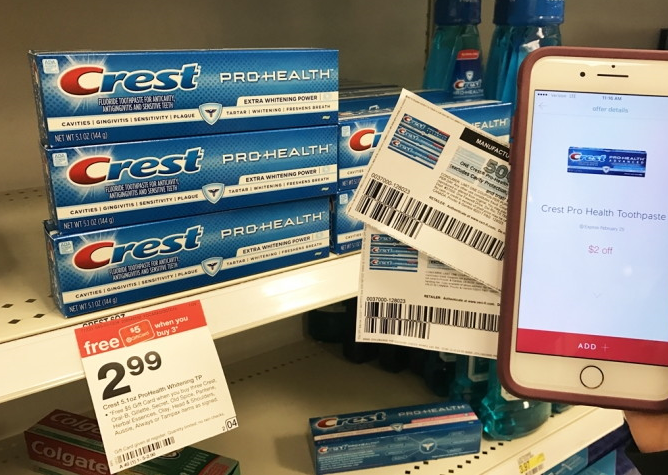 Crest Pro-Health Toothpaste is on promotion: buy three and receive a $5.00 Target gift card. Use a one-time use Cartwheel manufacturer coupon with two newspaper coupons from Sunday’s P&G insert to grab three tubes of Crest for free.